Toyota’s new social engagement campaign has successfully lifted off with over 90 000 hits and 1,4-million impressions for its first execution paying homage to Toyota Corolla owner Jitesh and his car. The second execution, which pays homage to Anchal and her history with her Toyota Hilux and is attuned to her style and interests, went live a few days ago. “Our intention with #ToyotaStoriesSA is to up the respect paid to loyal Toyota fans who shared their extraordinary passion for their Toyotas by posting photographs of them and their cars to our web site. 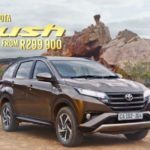 “We wanted to do more than just give them the traditional ‘thumbs up’, we wanted to create a fun and memorable way to say ‘We see you, and your Toyota, and we really value the bond you’ve formed with it and the Toyota marque,” said Toyota Senior Manager of Advertising & Digital Marketing, Tasneem Lorgat. The brand’s long-standing marketing communications partner, FCB Joburg, opted to take a tongue-in-cheek approach to bump up the ‘fun and joy’ quotient by deciding to relate the fan’s story in a short music video, with music choice and words reflecting the persona of the fan and his or her Toyota story. The content – short little clips which link to YouTube and of which there’ll be a new creative execution every two months – is housed on Facebook, Twitter, Instagram and Instagram Stories. 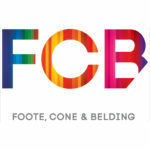 The concept was developed by FCB Joburg’s team of Tian Van Den Heever (Creative Director), Jacque Moodley (Art Director), Sandile Hamilton (Copywriter) and Lucy Holford-Walker (Content Writer) under the leadership of FCB Africa Group CEO and Chief Creative Officer, Brett Morris. “Audience response to our first #ToyotaStoriesSA video has been great. Hats off to Toyota’s fantastic fans and their truly personable Toyota stories, and to Snooze too, for pulling off the creative interpretation in such indomitable style. 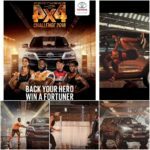 The combination is dynamite and I look forward to this campaign delighting Toyota’s online community for months to come,” said Lorgat.